Stonewall tried to defend themselves against the revelations that they’ve nominated someone they themselves labelled transphobic for an award, but seem to have spectacularly failed. Given that on Twitter they have been pointing people at this Pink Paper story, it seems reasonable to say that it’s a good representation of their position. They are pointing out that Bill Leckie, the journalist in question, has been much nicer recently and mention his positive article on Gareth Thomas last year. Of course, Gareth Thomas is gay, not Trans, so the fact that Leckie has been nice to gay people isn’t directly relevant. Bindel was nice to Lesbian and Gay people too, but the Trans community are still not particularly enamoured of her. You think Stonewall might have learnt their lesson from Bindel, but it seems not. Myself and a number of others responded to Stonewall on Twitter yesterday afternoon and asked them if Leckie has written anything Trans-positive since 2007 – but so far, we have not had a reply. Trans Media Watch have also publicly called on Leckie to disown his transphobic article, which may result in a positive outcome although no thanks to Stonewall. As an interesting aside, I’ll note that the Pink Paper contribution on behalf of Stonewall UK was by Laura Doughty, the deputy Chief Executive of Stonewall, rather than Ben Summerskill. It’s possible – indeed, even likely – that Summerskill was simply busy yesterday but it may be worth keeping an eye on who is being the public face of Stonewall in case the winds of change are finally blowing through the dusty halls of Stonewall Towers. 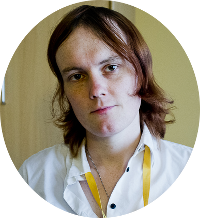 Previous Previous post: Stonewall says a journalist is Transphobic, then nominates them for an award. There is no section of the UK population more transphobic than gay people. Lesbians worse than gay men. Not sure how being homophobic and making such generalisations about gay/lesbian people is any better tbh.